When it comes to occupational health and safety requirements for your business, don’t go it alone. Whether you are a seasoned safety professional or have little to no background in the health and safety field, you need a trusted advisor and single resource to support you as you keep your employees safe and your company in compliance. You need Single Source Health & Safety and our holistic approach to corporate safety - TEAMSafe™. 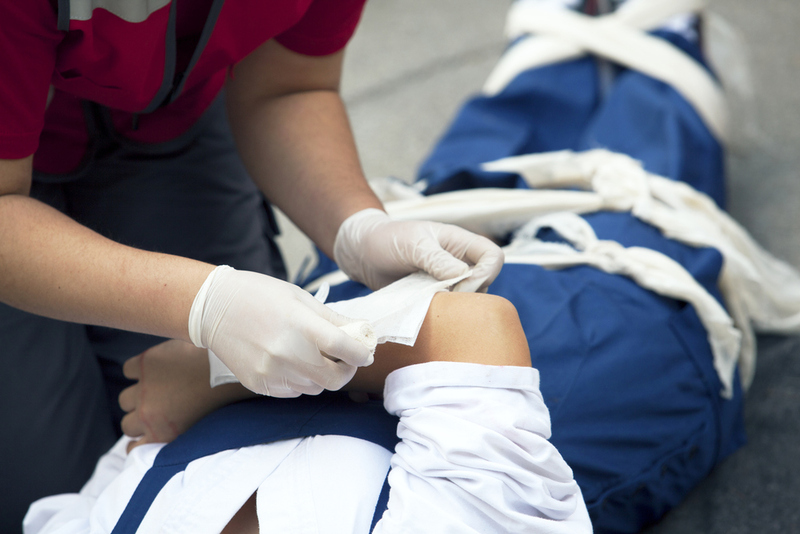 Training — From our nationwide American Red Cross, American Heart Association, and American Safety & Health Institute (ASHI) CPR and First Aid training to our occupational health and safety training courses, we ensure you stay in compliance and keep your employees safe. With a network of over 750 instructors and convenient classroom and online training options we make sure your training is delivered when, where, and how you want it. Equipment — Single Source Health & Safety offers a complete line of health and safety equipment, including automated external defibrillators (AED), first aid supplies, emergency oxygen, and more. With our industry leading ReadyTeam Pro™ software we can then assist you in tracking your equipment and maintaining its operational readiness. Action Plans — Documented action plans are not only a regulatory requirement, they just make smart business sense! We help you ensure that all of your critical health and safety policies, emergency preparedness plans, bloodborne exposure control plans, and medical emergency action plans are well documented and in line with federal and industry standards. Maintenance of Compliance — Our online software solutions make it easy for you to monitor and track your employees health and safety training, along with your company's AED program maintenance and health and safety compliance. Making the choice to use Single Source Health & Safety for all of your OHS training and services will simplify your life—offering you a health and safety solution that is easy to manage, trusted advisors to answer your questions, and a single invoice and point of contact. If you want to save time and resources while ensuring the health and safety of your workforce, contact us today. Let Single Source be your Health and Safety TEAM.